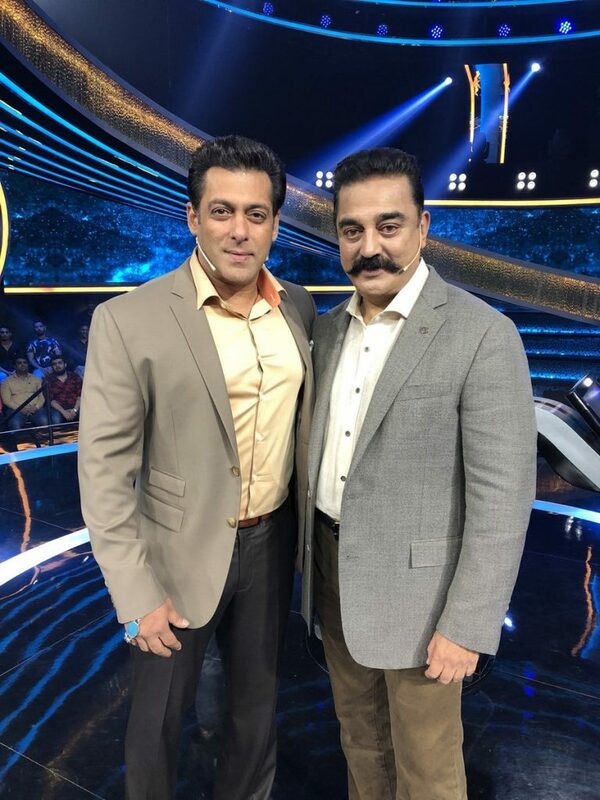 Actor-politician Kamal Haasan was happy to meet and shoot with Bollywood superstar Salman Khan on the sets of “Dus Ka Dum”, where he promoted his upcoming film “Vishwaroop 2”. In 2013, during the release of “Vishwaroop”, when the controversy of banning the film was all over India, Salman had taken a stand and had strongly appealed to his fans to watch it. Salman had also attended the film’s special screening by Kamal back again. Now once again, the “Bajrangi Bhaijaan” star is supporting Kamal’s film.Written, directed and produced by Kamal, “Vishwaroop 2” stars the actor-politician and Pooja Kumar, Andrea Jeremiah, Shekhar Kapur, Rahul Bose, Jaideep Ahlawat and Waheeda Rehman. Its Hindi version will be presented by Rohit Shetty and Anil Ambani-led Reliance Entertainment. A bilingual shot in Tamil and Hindi, and also dubbed in Telugu, it will release on August 10.